The first English-language study of Aristotle's natural philosophy from a continental perspective, the Feminine Symptom takes as its starting point the problem of female offspring. If form is transmitted by the male and the female provides only matter, how is a female child produced? Aristotle answers that there must be some fault or misstep in the process. 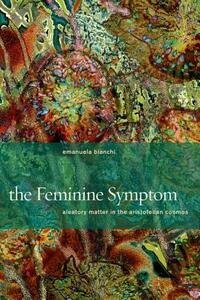 This inexplicable but necessary coincidence-sumptoma in Greek-defines the feminine symptom. Departing from the standard associations of male-activity-form and female-passivity-matter, Bianchi traces the operation of chance and spontaneity throughout Aristotle's biology, physics, cosmology, and metaphysics and argues that it is not passive but aleatory matter- unpredictable, ungovernable, and acting against nature and teleology-that he continually allies with the feminine. Aristotle's pervasive disparagement of the female as a mild form of monstrosity thus works to shore up his polemic against the aleatory and to consolidate patriarchal teleology in the face of atomism and Empedocleanism. Bianchi concludes by connecting her analysis to recent biological and materialist political thinking, and makes the case for a new, antiessentialist politics of aleatory feminism.